The SMALE S Shock watches have a simple LED with a giant dial on the side. There is a dual time display of both types, analog and digital. The watches are available in different colors: red, black, orange, blue, green and yellow. You can wear it anywhere, even when you're going for swimming, mountain hiking, camping, or for playing at the beach. 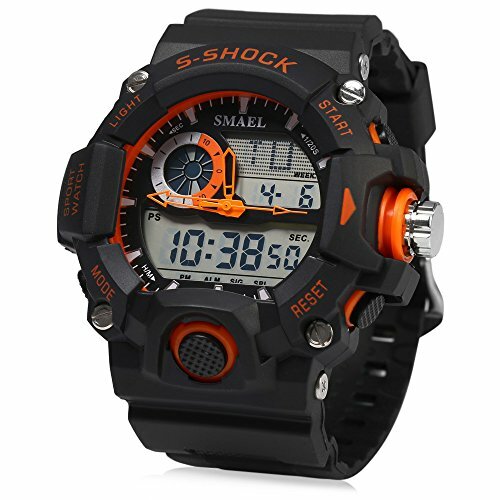 The S Shock Watches have resin cases and hands. They also have Quartz movement and a mineral crystal window. These watches are water resistant and differ from each other only in display type, weight, size and diameter.